Readers of Being Coached are often curious about peer coaching: "Why do you include peer coaching in the group or team coaching process?" We like peer coaching because it has the potential for sustainable impact. Deep connections develop between leaders that can be enduring and transformational. Being Coached illustrates powerful duos of peer coaches--Edgar and Jack challenging and supporting one another, Shelia trusting her peer coach enough to be vulnerable. Peer coaching provides these leaders accountability for doing the self examination, reflection, and hard work that is so necessary to implement what is learned in the group coaching sessions. Read Being Coached through the lens of Peer Coaching by noticing the listening skills, feedback, and questions the characters use. Read Michael Bungay Stanier's book: The Coaching Habit for ideas about powerful questions to ask. ​Does group coaching have an impact? ​﻿Leaders want to understand how group coaching generates a return on their investment of time and money. Kirkpatrick’s four levels of evaluation offer a methodology to assess the value of group coaching. These levels of evaluation highlight both the immediate impact on an individual learner level and the lasting effect of changed behavior and altered business results. Build evaluation into your group and team coaching efforts. If you'd like to see an example from one Fortune 50 company, click below. ﻿None of us have the time we'd like to accomplish everything we want to do. You don't need to be a professional coach to use coaching in your day to day engagement with your colleagues. 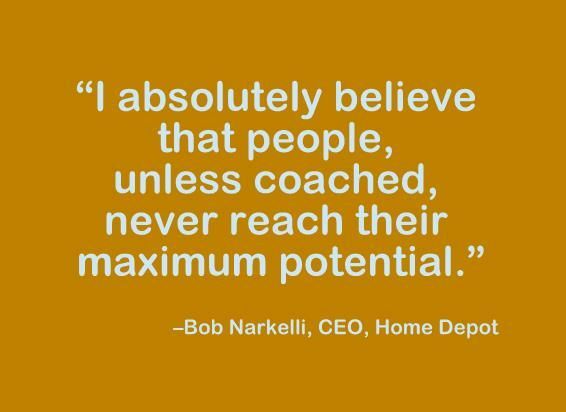 When you develop your own coaching skill, you increase your capacity by growing those around you. Make the best use of your brain power by learning coaching skills or develop your team by giving them the opportunity to learn.